Moving to Conway in 2005, Libby is a native of Winston-Salem, NC and a graduate of NC State University with degrees in textile chemistry and textile technology. 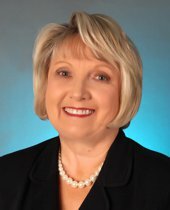 Having lived in Raleigh, Salisbury, Fayetteville, NC and New Jersey, Libby had personal experience selling and buying homes with her husband Barry in preparation for her career in real estate. She worked in the textile industry, and the areas of merchandising, sales and education prior to relocating to the area from Fayetteville, NC. She joined Century 21 McAlpine Associates in 2011 and has enjoyed helping others feel at home here in Horry county ever since. Not confining herself to one particular area of the county, she has sold homes in Conway, Myrtle Beach, North Myrtle, Pawley’s Island, Murrells Inlet, Aynor, and as far away as Mullins and Green Sea. Whether you are retiring and relocating from out of state, looking for your first home, investment property, a vacation home or looking to sell your home/land, she would welcome the opportunity to help you achieve your goals and promises to make the experience a pleasant one. Libby has been married to her husband, Barry, an engineer, since 1978. Together they are the proud parents of two adult sons. A member of Trinity United Methodist Church in Conway, she is a member of the Joy Class, UMW and is a WE Care leader there and volunteers at the Shepherd’s Table in Conway. During her spare time, she enjoys reading, sewing, needlework, quilting, decorating and being a grandmother to two precious (of course!) grandchildren.